I love cabbage, but not when it is cooked. However, this red cabbage salad was an exception. I love the contrast of the plum color on a white dinner plate, not to mention the semi-sweetness of the apples. When served with BBQ pork or beef ribs, it’s outstanding; the flavors really compliment the meat. 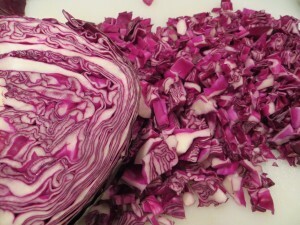 Place chopped cabbage, shredded apple, vinegar, sugar and cloves in crock pot. Cover and cook on high for 2 1/2 to 3 hours. 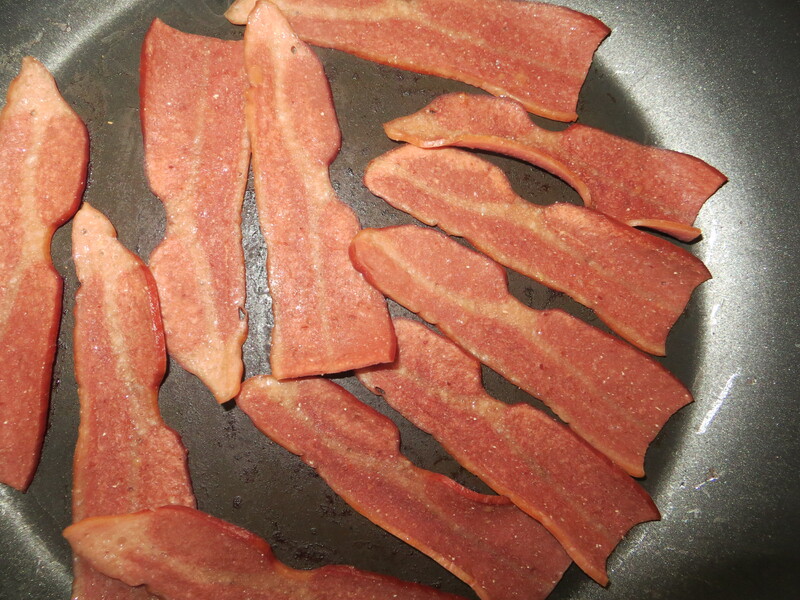 Remove to serving dish, add diced turkey bacon and garnish with apple slices. The tang and sweetness of this salad is a great replacement for traditional green salads. This recipe will serve 6 people as a side dish. A half-cup serving with an apple slice garnish is in the neighborhood of 115 calories. 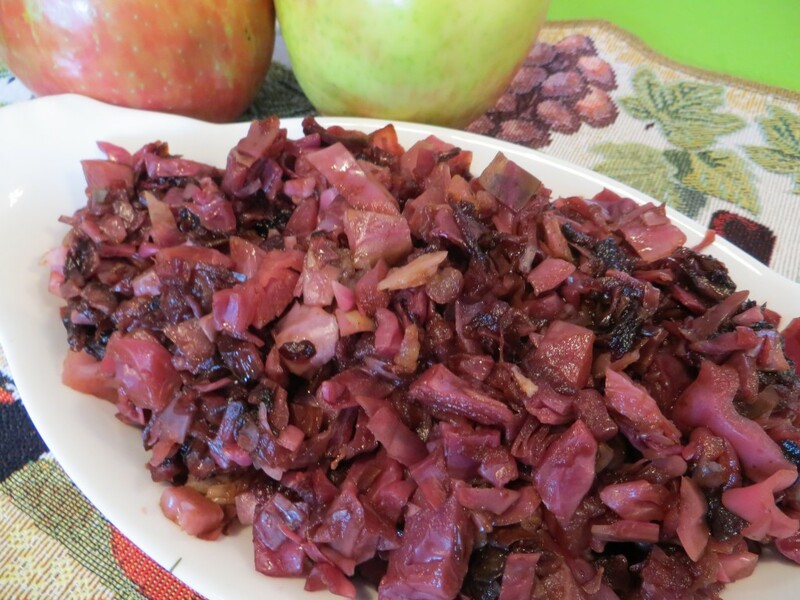 This entry was posted in All Recipes, Crock Pot, Salad Recipes, Side Dishes and tagged crock pot red cabbage salad, low fat cabbage apple salad, red cabbage & apple salad, red cabbage side dish, tangy and sweet red cabbage salad by bg_admin. Bookmark the permalink.